Nancy Powell is a Hampton, Virginia poet whose work has appeared in Kalliope, Black Water Review, BlueLine, Virginia Adversaria, The Beacon, Skipping Stones, SweetBay Review, Article 25, and the anthology, The Light in Ordinary Things. You can hear her read her work on the blog, Poets of Virginia Online. 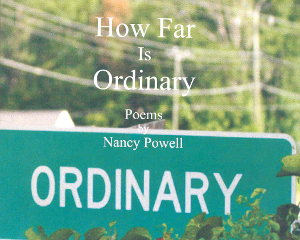 Her first poetry collection, How Far Is Ordinary, was published by MindWorm Press in 2007. 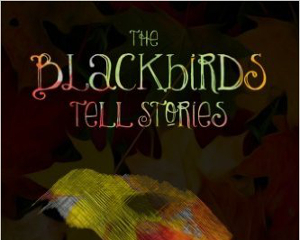 Her second poetry collection, The Blackbirds Tell Stories, was published in December, 2015 from San Francisco Bay Press Publishing (http://www.sanfranciscobaypress.com/. ) , and is a 2016 nominee in The Library of Virginia Poetry Book Award. She is a past president and current executive council member of the Poetry Society of Virginia, a member of The National Association of American Pen Women, and was on the advisory council for The Christopher Newport University Writers’ Conference for ten years. She organized the Poetry Society of Virginia’s yearly student contest for five years and edited the PSV newsletter. She is a current copy editor for Poetica Publishing Company and for the magazine, Poetica. She currently hosts a poetry reading series at Iris Art Shop in Poquoson, Virginia. Ms. Powell does readings and workshops throughout the tidewater area. She has lived in England and Australia, has traveled throughout Europe, parts of Asia, New Zealand, and the South Pacific. When not at her “day job,” she can often be found at home by the Hampton River.